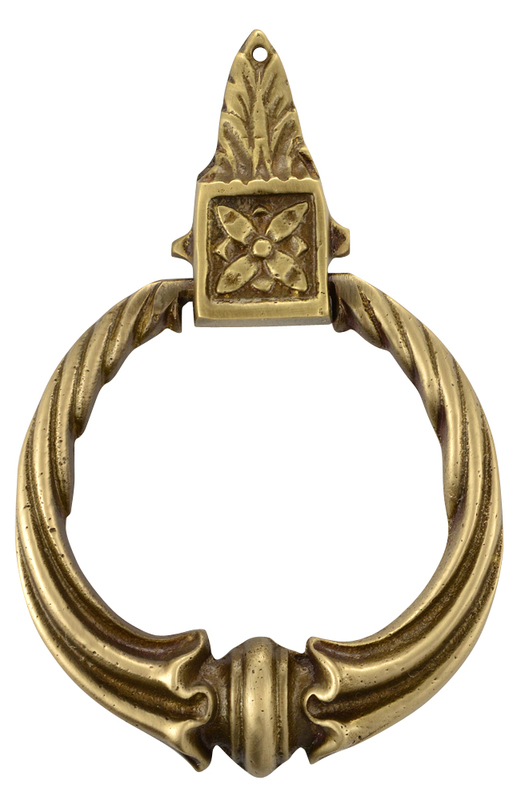 3 Inch Tall Lost Wax Cast Ring Pull (Antique Brass Finish) - measures 2 3/4 Inches Wide and 3 Inches tall on the ring. Single screw rear mount (included). The overall height of these pieces is about 4 1/4 inches from top to bottom. The lost-wax casting process, sometimes known by the French name of cire perdue is an ancient practice that is still used for artwork today and it is used to preserve the fine details of the original Eastlake & Windsor style components.